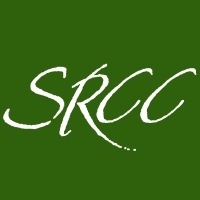 South River Colony Conservancy, Inc. Welcome to South River Colony Conservancy, Inc. Welcome to South River Colony - an award-winning local community in Edgewater, Maryland. Located six miles from historic Annapolis and only 35 miles from Washington, DC, South River Colony is a 1,400 acre community comprised of 900 luxurious townhomes, spacious single-family homes and condominiums for those 55-or-better, as well as prime shopping, delectable dining options, professional & medical offices and more. South River Colony enjoys approximately 300 acres of wooded preserves with gorgeous walking trails and two beautiful pools, tennis courts and playgrounds. South River Colony residents are within walking distance of an 18-hole privately-owned golf course, the local Edgewater public library, the Edgewater community senior center, local police station and post office, and more. Convenience, beauty and a hometown community feel - South River Colony offers our residents the best of everything. Yard Sales Through SRCC This Saturday!